The performance will be created during the weekly workshop with Painted in Sofia, called “Future roots”. The results can be seen also as an exposition at the National Ethnographic Musem, July 16-22. The workshop is organized in partnership with The National Ethnographic museum at the Bulgarian Science Academy, and with artisants, experts and craftsman. Presentation of the results of the weekly workshop with Studio PutGootink, which explores the old manuscripts, part of the collection of The Sofia History Museum, and editions from 19th century, part of the museums scientific library collection. The workshop is organized in partnership with The Sofia History Museum. Presentation of the results of the weekly workshop with the photographer Vesselina NIkolaeva, who will help participants to create their own photography projects and tell their stories through them. Presentation of the results of the weekly workshop with Uta Eisenreich as a program with short-movies, created by the participants under her mentorship. Know-How / Show-How Summer program supports the development of young emerging designers and creatives of all trades. We are looking for those who are interested in working in an interdisciplinary manner with international professionals, educators and experts from the European’s creative and educational community. Through workshops, exhibitions, exploratory studies and lectures we will examine questions and topics that are central for practitioners of today. The theme of 2016 is RE-connect and will place special attention on our present day reeling and dealing with objects that shape culture. Designers and Artists focus their expertise on the City and the great archives and collections it hold, in an effort to Re-connect them to the Public Space. How do we place meaning and give value to objects? How can we read context? And how does this context influence our readings? The topics we have selected for this year edition will circle around these questions and more. Together with you we will shape a new, temporary, framework to look through and experience. The program will be carried by a representative group of design and art professionals from all over Europe with extensive experience in education – René Put & Brigitte Gootink from the design studio PutGootink (NL); Saskia Van Drimmelen & Margreet Sweerts from the fashion project Painted series (NL), the artist Uta Eisenreich (NL/DE), the photographer Vesselina Nikolaeva (BG/NL), the designers Linda Van Deursen (NL) and Jurgen Bey (NL), the curators and rsearchers Clémentine Deliss (DE) and Iglika Mishkova (BG), Relja Bobić (SB) and more. – The 11 days program consists of 4 five-days workshops and an open evening program of lectures, presentations and movie screenings, with discussions and networking events. An additional public Lecture-day [16.07] will take place with special national and international guests speakers. All non-conventional thinkers, authors, professionals or students, active in the field of communication design, photography, illustration, publishing, fashion, performing arts, architecture, theoretical research, humanities, or any other discipline. Each participant will be able to follow two workshops in total (2 of 5-days in sequential order). The spoken language will be English. This year our host will be the The National Academy of Arts which will provide their lovely studios at Bul. “Dondukov” 56 for our creative working processes. The tuition fee for participation is 200 euro (paid after the selection of the candidates). The travel cost, accommodation and food are not covered in the fee (the minimum expenses a day + accommodation in Bulgaria are 35-40 euro). Dutch fashion collective Painted invites you on an exploratory journey through making in dialogue with the available knowledge encompass in the present and the past, connected to authentic skills, craft and traditions. You will be introduced to the logic and methods of design that Painted has developed in their practice and will have the opportunity to directly collaborate with them. The manifestation of this dialogue will be comprised in the collective production of a wearable object. During the search for materials.design elements in this unique fabrication you will get acquainted with the archives of the Ethnographical Museum in Sofia, and will have the opportunity to interact directly with masters, experts and practitioners in authentic crafts techniques and their context. As a result of this collaboration conveying generosity and reciprocity, on the final day, a special choreography will be developed presenting the produced piece in a performative way. This final part of the workshop will be documented in the form of a film which will become part of the collection of Painted established in many parts of the world and emerging from different cooperation. Starting with a selection of historical books from the collection of the Sofia History Museum we will examine, transform and re-contextualize their content in a series of ‘inserts’. As an introduction to the project, the museum will give a presentation, highlighting the importance of the selected books. From there on we will work with the participants in developing fitting strategies for a postscript or ‘insert’ that re-contextualizes the historical publication. These personal translations will follow personal routes and lead to a diverse range of media. The challenge lies in opening the book to a wider audience by re-framing and reconnecting its content into a contemporary context, using the participants’ field of profession. Despite the fact that an insert is often a printed matter, the chosen medium and design can be very diverse and specifically focused on the subject. However, within the project, it is important that the choice of subject and the medium for the ‘insert’ can be brought into relation with the book. Our project will then be displayed in the museum. The storytelling is a powerful tool and medium for conveying real events in their subjective and microcosmic context. The tales and the legends have always been an integral part of the cultural identity and biding element in its construction. In today’s reality, filled with highly media presence, fragmentation, and hyper dynamic, the personal story, told by the adequate locality is more relevant than ever. It connects us, provoke us and commit us to empathy. This will be a workshop about the visual research and how to apply the narrative message through the instruments of photography. Each participant makes a small selection of objects found in the city. Like archeologists or crime investigators, we will conduct forensic research and draw bits of story from these artifacts. These narratives will be developed to become short movies. These stories could be fictional or factual, historic or personal; they could involve field research or take place in the domain of imagination. As a result we will present an evening program with short movies and lecture performances. PutGootink is a graphic design studio founded and formed by René Put and Brigitte Gootink. Their work spans a wide variety of projects, including the design of books, catalogues, posters, stamps, identities, and exhibitions. Having a strong editorial approach, they are often involved with projects at an early stage, using their design process to reflect on the content and context of their subject matter. This visual research is essential to them for developing an outspoken design that is marked by distinct and inventive reproduction techniques. PutGootink has been commissioned by a range of non-profit organisations, cultural institutions, museums, and publishers, and has designed for a great number of photographers, artists, and architects. Under the name of “Collect Editions”, René Put and Brigitte Gootink independently produce and publish exclusive artist editions. For every edition, an artist is invited to develop new work, considering the outcome in close collaboration with Put and Gootink. With mutual respect for each others motives and discipline, they reflect on concept, contents, research, material, shape, design, and production. Each time a unique appearence is created, distinct from the previous, allowing Collect Editions to investigate and redefine the medium of an artist edition, both in content and form. In due course the editions will comprise a collected body of work, proposing a triggering dialogue between subjects and form as a whole. René Put teaches graphic design at the Gerrit Rietveld Academy, Amsterdam. His design practice is based on independent research, often dealing with the composed and reproduced image as a point of departure. In 2012 he and Rianne Petter presented their book “Poster 524, exploring the contemporary poster”, published by publisher Valiz. Poster No. 524 is a visual analysis of the medium of the poster, for which they collected 523 different posters hanging in the city of Amsterdam. They carefully studied these posters, deconstructing and reconstructing their elements and isolating certain details. Poster No. 524 reveals the mechanisms of creative research and sets out to shed light on the general significance of posters and visual culture. The research was part of the exhibition ‘How Posters Work’ at the Cooper Hewitt Smithsonian Design Museum in New York last year (May 2015-January 2016). Painted is a hybrid fashion collective led by fashion designer Saskia van Drimmelen and theatre director Margreet Sweerts in a varying line-up with kindred spirits. Sharp contemporary couture in which handwork techniques find a place of honor is their signature. Painted explores new ways to develop and distribute fashion and likes to blur the lines between fashion and performance, and expand the idea of what a garment can be. Believing in the strength of collaboration, Painted develops garments in which handwritings of various makers are united, giving each piece its own character and value. This way of working originates from antique Bulgarian dress, where different generations added personal elements to a family piece; layered by time. In workshops they share techniques and new methods of playful collaboration. The results of this collaborations manifest in numerous presentations, projects and exhibitions. Among others, “Golden Joinery” was featured and presented at the Fashion Week Amsterdam 2016, participated at the exhibition part of the University of Applied Arts Vienna in the Angewandte Innovation Laboratory (AIL) Vienna, their work was exhibited at the Exhibition LEV VEL at DogA, Oslo and pieces from “Painted Secret” was part of ‘The Future of Fashion is now” at the Museum Boijmans van Beuningen, Rotterdam and many others participation in various events. Vesselina Nikolaeva majors in Photography at the Art Academy of Utrecht, The Netherlands in 2001. In 2004 she receives The Award for Young Photographer (in the framework of ‘De Zilveren Camera 2004 the Netherlands) followed by the Grand Prix of the 4th International Festival of Photography 2005 in Poland and the ‘Descubrimientos’ at Photoespana 2005 in Spain. Her work has been exhibited in numerous galleries and museums in Bulgaria and The Netherlands and has been a part of many international festivals in Germany, Spain, France, Australia and the USA. Vesselina Nikolaeva has five individual book publications: “Baba” (2004), “Simply a Line” (2009), “I’m good I’m great I’m wonderful” (2013) and “Yesterday when I was little” (2014). In her work, she examines the socio-cultural relations in contemporary Europe in the context of a diverse and struggling for unification political and economic entity. Her projects represent the metamorphosis of a historically marginalized society into a main-stream European nation state partaking in the cultural transfer of globalization and modernization. Uta Eisenreich is an artist working with photography and performance. In the early 2000s Eisenreich explored the interface between photography and performing arts, collaborating with performance makers such as Eva Meyer-Keller (DE/SE) and Zhana Ivanova (BG/GB). She frequently incorporates performative strategies in her photographic practice; her camera is often used as a live tool for performances. In another sense she treats a book as a time-based medium, as a portable theatre. Her acclaimed artist book ‘A NOT B’ (2010, Roma Publications) has received several prizes and is a collector’s item. Uta Eisenreich works and lives in Amsterdam, where she teaches at the Gerrit Rietveld Academy. She is represented by Ellen de Bruijne Projects, Amsterdam. Currently she travels Europe with here conceptual object-performance “Things on a Table” in which, by means of objects, light and special effects, a level of photographic interpretation is obtained. 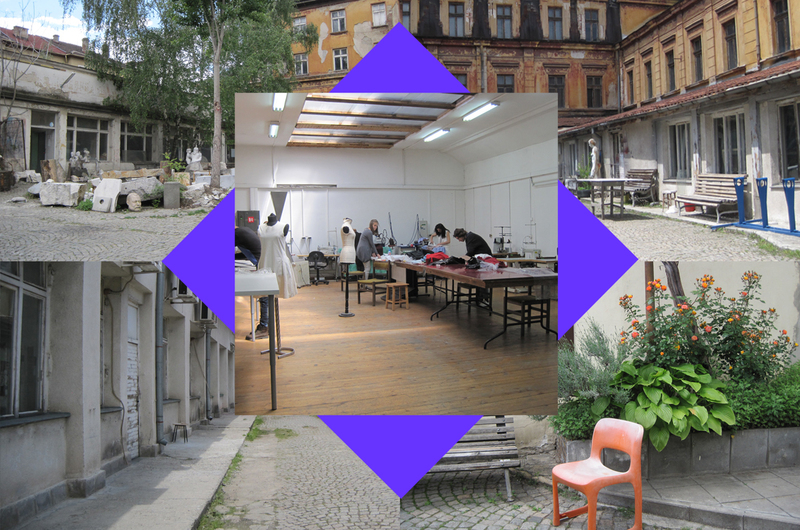 KHSH Summer program is a collaboration between cultural and design enthusiasts from the Netherlands and Bulgaria. The team consists of Dima Stefanova, Henk Groendijk (Icecreamdesign/ KnowHow Foundation, Amsterdam), Bilyana Necheva and Andrean Nechev (Culture Desk, Sofia). Dima Stefanova is media designer and developer focused on new systems for dynamic content management and social interaction. She is the founder and director of Know-How Show-How social platform for local knowledge exchange. Henk Groenendijk is a graphic designer, researcher and educator. He is Professor at the “Gerrit Rietveld Academie” as well the founder and moderator of the Designblog an experimental platform for design research on academic level. Bilyana Necheva is a cultural entrepreneur, manager and consultant. Andrean Nechev is communication designer, graduated in Dusseldorf, co-founder of the Sofia’ based studio for graphic design – Poststudio. Together they are managing the Culture Desk Foundation which aims to stimulate the dialog and collaboration between the Bulgarian creative professionals and their colleagues from all over the world. The KHSH Summer Program is supported by Stimuleringsfunds Creatieve Industries, NL, Program “Culture” 2016 of Sofia Municipality, and the National Fund “Culture” / Mobility program. The Public program of Know-How / Show-How Sofia is supported by Sofia Municipality, Program Europe, 2016.